At least 25 hippos have recently been found dead in Liwonde National Park. 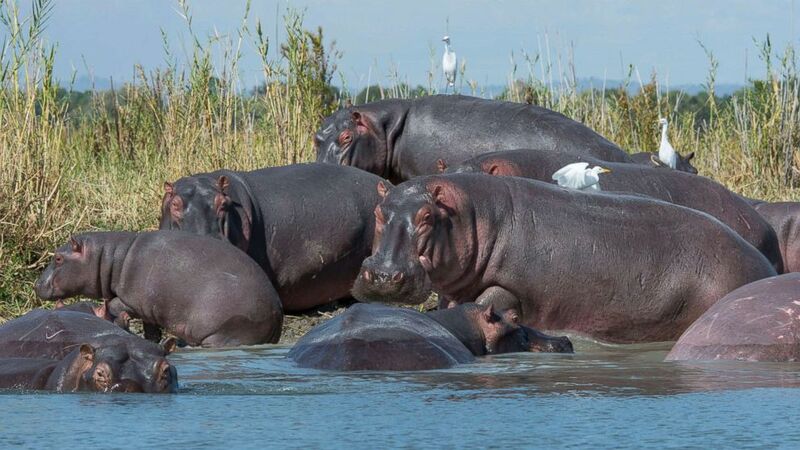 Wildlife officials in Malawi are investigating the mysterious deaths of more than two dozen hippos in a national park. The first carcasses -- eight in total -- were discovered Oct. 10 in southern Malawi's Liwonde National Park, which is home to a large hippopotamus population of about 1,950. Several other hippos, predominately adult males, were found dead in the following weeks, according to wildlife officials. Three more -- two adult females and one calf -- were found dead Wednesday, bringing the count to 25, officials said. 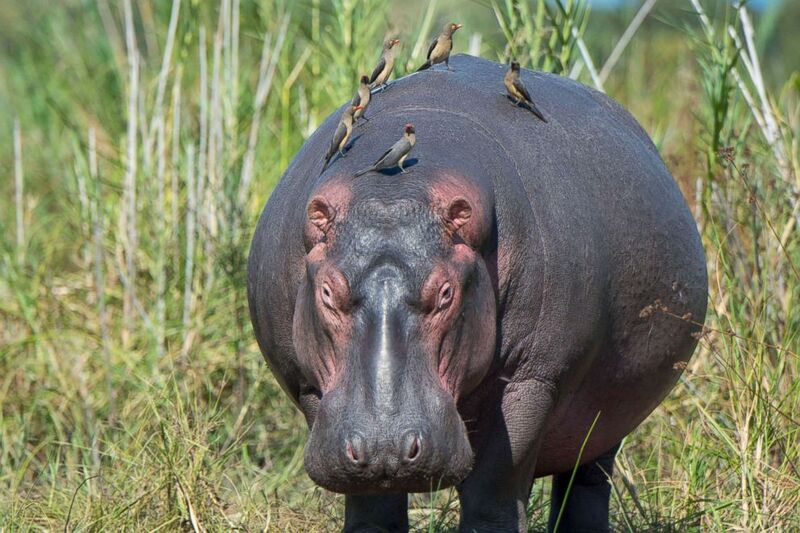 (LightRocket via Getty Images, FILE) Birds sit on a hippopotamus on the shore of the Shire River in Liwonde National Park, Malawi, May 26, 2016. Brighton Kumchedwa, director of Malawi's Department of National Parks and Wildlife, described the mass deaths as strange and "unprecedented." "As this is happening for the first time here in Malawi, we do not have answers to the problem," Kumchedwa told ABC News on Wednesday. Some of the deceased amphibious mammals showed signs of trauma, according to Kumchedwa. (LightRocket via Getty Images, FILE) A group of hippopotami congregate on the shore of the Shire River in Liwonde National Park, Malawi, May 26, 2016. The causes of deaths are under investigation by a team of wildlife experts. Samples of the park's soil and water have been collected and sent for testing at special laboratories in nearby Botswana and South Africa, Kumchedwa said. Results from lab testing and analysis will take about a month, according to Kumchedwa. Hippos are considered "vulnerable" to extinction on the International Union for Conservation of Nature's Red List of Threatened Species.